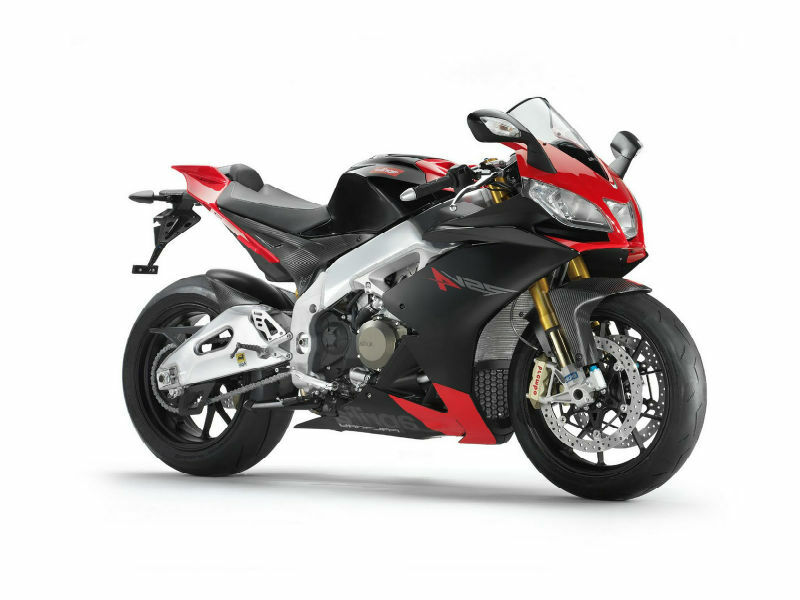 Aprilia RSV4 Factory is a classy, stylish and racy motorbike with all the advanced features and technology to assure amazing driving experience. Read the review to explore the features, technical specifications & price. 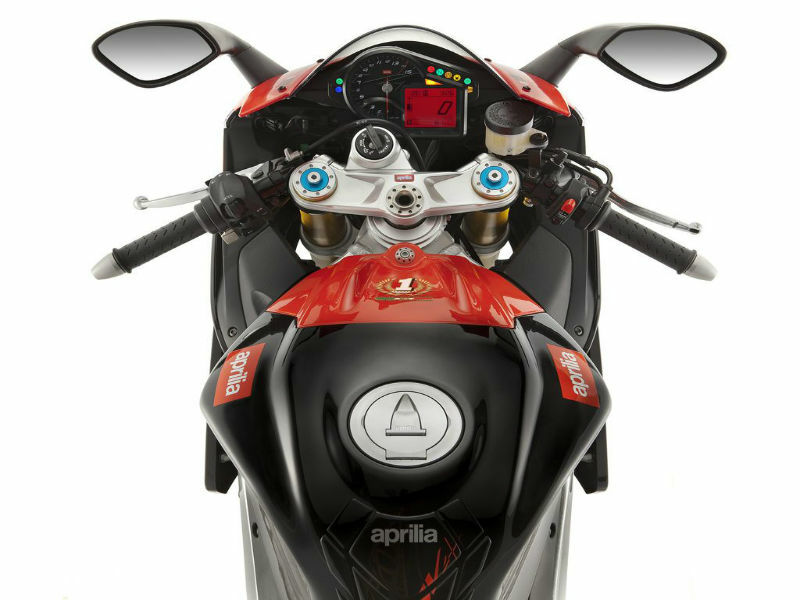 Aprilia RSV4 Factory is a dynamic bike with new classy looks and latest technology to assure better riding and safety. Powered by efficient motor, the bike is known for its thrilling speedy delivery, descent mileage and greater comfort. The amazing body works including the smart fairing design, fuel tank with bends and curves, stylish graphics and every other feature of the bike adds macho, rigid and racy appeal to it. 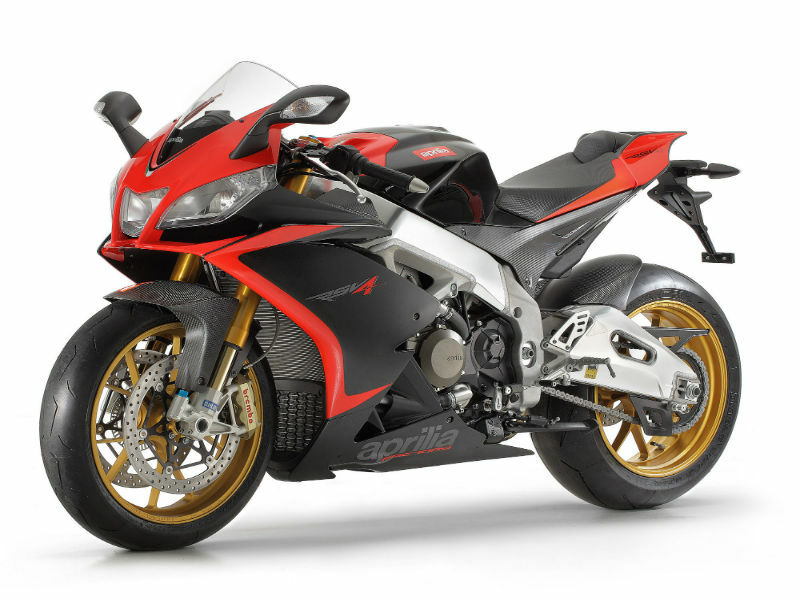 The Aprilia RSV4 Factory comes with powerful single cylinder, 4 stroke, 999.6 cc engine which provide better performance. This dynamic vehicle is said to be fuel efficient and the main reason behind it is the efficient liquid cooled technology used. The maximum power generated from this is about 180 Bhp at 12250 rpm and the highest torque achieved is 115 Nm at 10000 rpm. Power so produced reaches its wheels through 6 speed gears. The motorbike is stylish, trendy and attractive in its own terms. The major striking feature which adds a lot to its structure is long fairing covering major portion of its naked body. The eagle eyed headlamps, fashionable tail lamp, comfortable seats, rightly placed handle bars and eye-catching instrument panel makes the vehicle the heartthrob of every passerby. The fancy appeal of the bike is further enhanced with graphics and cool colors. The bike is equipped with advanced technology thereby giving better handling and control to the rider. The larger wheelbase and quality chassis used is other major plus point as it takes care of safety and smooth driving. The suspension of the motorbike including the front upside down forks and rear aluminium swingarm provide the trouble free, even drive. Further the disc brakes used give better control of the bike. RSV4 Factory is expected to give a good mileage like any of the other vehicles of Aprilia but the exact figure is not known. The bike is available in different variants namely Aprilia RSV4 Factory APRC, Aprilia RSV4 Factory APRC SE, Aprilia RSV4 R APRC and Aprilia RSV4 R. Although the cost of each of these variants is not known the average coated price is about Rs. Rs. 17,50,000.